The question of the two Houses of Yisra’el poses a thought, new to some people, old to others. The thought is: "Who are the people of the two Houses?" On the surface it may not seem to matter. However, in Yesha Yahu (Isaiah) 49: 5-6, the Scriptures say that one of the purposes of forming Messiah from the womb was to restore the tribes of Ya’aqob/Jacob. (We remember there is no alphabet J on earth 500 years ago). Without understanding the Two Houses of Yisra’el, we will be teaching an incomplete Good News message. Much in the Messianic Scriptures is misunderstood and incorrectly taught, because the Two Houses of Yisra’el are overlooked and considered a small thing. However, in order to understand the writings of Sha’ul (corrupted to be Paul), it is extremely important that we understand the two houses. The discussion of the terms "Yahudim/Jew" and "Gentile" are not to describe or identify specific peoples of today, but to show the reigns represented by these terms. Terms, or words, and their false or true meanings have been dividing people for many ages. The purpose here is to see if we can see these terms and their meanings from a Scriptural perspective instead of a traditional perspective. The descendants of Yahudah (corrupted to be “Judah”) were called Yahudim, etc. We must refrain from using the word “Judah”, because this word derives from the Greek Iudaios (Judaios) which was none other than a Greek deity (see W. H. Roscher’s lexicon of mythology and quoted by the Institute for Scriptures Research). Each tribe was linked to the patriarch by a term of identification. However, after Ya’aqob’s name was changed to Yisra’el (Bereshith/Gen. 32:28), all the tribes were linked to Ya’aqob by the term "Yisra’el". Here, we will use the terms "house of Yisra’el" and "house of Yahudah" to help us see the separation of the reigns and their eventual return and reunion. Today, some people who consider themselves to be Yahudim (from the tribe of Yahudah) may actually be descended from one of the other tribes without knowing it. On the other hand, those who consider themselves to be “Gentiles” (non Yahudim) may be descended from Ya’aqob without knowing it. We will not attempt to identify you personally, but we will attempt to dispel the teaching that the Christian church has replaced Yisra’el as the chosen people. In Yesha Yahu (Isaiah) 8:14, the word says, "He shall become a set-apart place and a stone of stumbling and a rock of falling to both houses of Yisra’el...."
Here, in the words of Yesha Yahu, we know that Yesha Yahu recognized the Two Houses of Yisra’el that existed during his time. To see how the two houses came into being, we must understand that Abram the Hebrew (Berishith/Gen. 14:13) fathered Yishaque (Isaac), the son of promise (Berishith/Gen. 17:19). Yishaque/Isaac fathered Ya’aqob (Berishith/Gen. 25:26), the person whose name was changed to Yisra’el (Berishith/Gen. 32:28). Israel then fathered twelve sons, whose descendants became known as the twelve tribes of Israel (Berishith/Gen. 35:22-26). Yahudah was the fourth son of Yisra’el, (Berishith/Gen. 35:23). Now, Ephrayim, the son of Yoseph, is Yoseph's heir; so Manasseh and Ephrayim are also Yisra’el (Berishith/Gen. 41:50-52). Yoseph and Yahudah became the most prominent of Yisra’el's sons (Berishith/Gen. 49:8-12, 22-26). Ultimately the twelve tribes were divided into two distinct houses (Melakim Aleph/1 King 11:30-38). 1Ki 11:29 And it came to be at that time, when Yarobʽam went out of Yerushalayim, that the prophet Ahiyah the Shilonite met him on the way. And he was wearing a new garment, and the two were alone in the field. 1Ki 11:32 but he shall have one tribe for the sake of My servant Dawid, and for the sake of Yerushalayim, the city which I have chosen out of all the tribes of Yisra’ĕl. 1Ki 11:33 ‘Because they have forsaken Me, and bow themselves to Ashtoreth the mighty one of the Tsidonians, to Kemosh the mighty one of the Mo’abites, and to Milkom the mighty one of the children of Ammon, and have not walked in My ways – to do what is right in My eyes, and My laws and My right-rulings, as did his father Dawid. 1Ki 11:34 ‘But I do not take all the reign out of his hand, because I have made him ruler all the days of his life for the sake of My servant Dawid, whom I chose because he guarded My commands and My laws. 1Ki 11:35 ‘And I shall take the reign out of his son’s hand and give it to you, the ten tribes. 1Ki 11:36 ‘And to his son I give one tribe, so that My servant Dawid shall always have a lamp before Me in Yerushalayim, the city which I have chosen for Myself, to put My Name there. 1Ki 11:37 ‘So I take you, and you shall reign over all that your being desires, and you shall be sovereign over Yisra’ĕl. 1Ki 11:38 ‘And it shall be, if you obey all that I command you, and shall walk in My ways, and do what is right in My eyes, to guard My laws and My commands, as My servant Dawid did, then I shall be with you and build for you a steadfast house, as I built for Dawid, and shall give Yisra’ĕl to you. From reading the books of Melakim (Kings) and DIBRE haYAMIM (Chronicles), we recognize that the nation was divided into two reigns: Yisra’el in the north and Yahudah in the south. Yet the Word says, BEFORE THEY WERE SEPARATED, all Yisra’el and Yahudah loved Dawid (Samu’el Aleph/1 Sam. 18:16), and so King Dawid ruled over all Yisra’el and Yahudah (Samu’el Bet/2 Sam. 5:5). Dawid became king over the house of Yahudah first (Samu’el Bet 2:4). In the book of First Kings, Chapters 11&12, we are told that King Shelomoh (Solomon) loved many foreign women Melakim Alef (1 Kings) 11:1, even though the Yisra'elites were instructed not to intermarry, because YHWH knew the women would turn the men's hearts away from Him to other elohim (mighty ones) (Melakim Aleph (1/Kings) 11:4). Therefore YHWH told Shelomoh (Solomon)...because he had done this with the women and rebelled against the covenant of YHWH, YHWH said He would take the reign away from Shelomoh (Solomon) and give it to his servant (Melakim Aleph 11:11). 1Ki 11:11 And יהוה said to Shelomoh, “Because you have done this, and have not guarded My covenant and My laws, which I have commanded you, I shall certainly tear the reign away from you and give it to your servant. The reign was then split, with the tribe of Yahudah in the south and ten tribes in the north. Rehab’am was king over Yahudah and Yarob’am became king over Israel (Melakim Aleph 11:13, 30:34). YHWH promised Yarob’am (Jereboam) He would build an enduring house for him, as He had done for Dawid (Melakim Aleph 11:38). After the death of Shelomoh the separation of the two houses became effective; with Yarob’am ruling over the house of Yisra’el and Rehab’am ruling over the house of Yahudah (Melakim Aleph 12: 16-19). Now Rehab’am intended to restore the house of Yisra’el and the house of Yahudah back into one reign, but YHWH stopped him (Melakim Aleph 12:22-24). 1Ki 12:24 ‘Thus said יהוה, “Do not go up or fight against your brothers the children of Yisra’ĕl. Let every man return to his house, for this matter is from Me.” ” So they obeyed the word of יהוה, and turned back, according to the word of יהוה. Now that we have seen the establishment of the Two Houses of Yisra’el, we will look at the time frame between the establishment and dispersion of the two houses. The establishment of two reigns, under Rehab'am (Rehoboam) and Yarob’am, took place in 928 B.C.E. (The Timetables of Jewish History Simon & Schuster 1993 Judah Gribetz). The house of Yisra’el continued from 928 B.C.E. until 722 B.C.E. when Shalmaneser, King of Assyria carried the house of Yisra’el away and placed them in other lands and cities (Melakim Bet 17:3-6). 2Ki 17:3 Shalmaneser sovereign of Ashshur came up against him. And Hoshĕa became his servant, and rendered him a present. 2Ki 17:4 But the sovereign of Ashshur found a conspiracy in Hoshĕa, for he had sent messengers to So, sovereign of Mitsrayim, and had not brought a present to the sovereign of Ashshur, as year by year. And the sovereign of Ashshur shut him up, and bound him in prison. 2Ki 17:5 And the sovereign of Ashshur went through all the land, and went up to Shomeron and besieged it for three years. 2Ki 17:6 In the ninth year of Hoshĕa, the sovereign of Ashshur captured Shomeron and exiled Yisra’ĕl to Ashshur, and settled them in Halah and Habor, the River of Gozan, and in the cities of the Medes. During the following 200+ years, the house of Yisra’el had nineteen kings. The last king of the house of Yisra’el was Hoshea (Melakim Bet 17:6). Beginning with the sin of Yarob’am (Melakim Aleph 12:25-33), who caused the people of the house of Yisra’el to sin, the people committed great spiritual adultery by departing from YHWH (Hoshea 1:1-2). Hos 1:1 The word of יהוה that came to Hoshĕa son of Be’ĕri, in the days of Uzziyah, Yotham, Ahaz, and Hizqiyah, sovereigns of Yehudah, and in the days of Yarobʽam son of Yo’ash, sovereign of Yisra’ĕl. Now YHWH sent prophets to the house of Yisra’el, to call them to repentance and return to YHWH. We see the promises of YHWH to cast out the disobedient people beginning in the book of Debarim (Debarim/Deut. 4: 25-29). Also, the entire twenty-third chapter of Yehezqel (Ezekiel) addresses the harlotry of both the house of Yisra’el and the house of Yahudah.. The entire book of Hoshea outlines YHWH 's plan to bring an end to the reign of Yisra’el (Hoshea 1:4). This was the end of a reign, not a people. Hos 1:4 And יהוה said to him, “Call his name Yizreʽĕl, for in a little while I shall revenge the bloodshed of Yizreʽĕl on the house of Yĕhu, and put an end to the reign of the house of Yisra’ĕl. In Hoshea, YHWH instructed Hoshea to marry Gomer, a harlot; symbolizing the harlotry of the house of Yisra’el. She, Gomer, conceived and bore a son, Yizre’el (which means, "EL will sow"). EL is transliterated from Hebrew for Mighty One. This is a prophecy about the scattering of the house of Yisra’el among the other nations in the world. Gomer also bore a daughter, called Lo-Ruhamah (meaning "no-mercy"), for YHWH said He would no longer have mercy on the house of Yisra’el. Then she bore a son and called his name Lo-Ammi (meaning "not my people"), for YHWH said they were not His people and HE would not be their EL, because of their disobedience. Yet by great mercy, YHWH speaks of the future restoration and coming together again of the two houses (Hoshea 1:10-11). Hos 1:11 “And the children of Yehudah and the children of Yisra’ĕl shall be gathered together, and appoint for themselves one head, and shall come up out of the earth, for great is the day of Yizreʽĕl! The fulfilment of the breakup of the house of Yisra’el occurred in 722 B.C.E. The house of Yahudah continued for another 136 years, until they were taken away captive to Babylon in 585 B.C.E. This shows that the house of Yisra’el ceased to exist in 722 B.C.E. 390 years of crookedness bore by Yehezqel (Yehezqel 3 & 4) x 7 times punishment (Wayyiqra/Exodus 26) would mean the punishment ended in Roman Gregorian calendar of 2008 (Hebrew 5768)! We shall see returning of Yisra'el to ABBA YHWH now. Yahudah returned to the land after 70 years of captivity in Babylon, yet Yisra’el has not returned. After the house of Yahudah's return from Babylon, they continued as a reign and became the sole representative of all the remaining descendants of Ya’aqob. It was after the dispersion and return of Yahudah that the term "Yahudah” began to be used to apply to all Yisra’elites. It becomes further confused when the word of “Yahudah” corrupted to “Jews” 500 years ago. We remember, there is no alphabet “J” on earth 500 years ago. Those who have lost their identity continue to be lost until today (work of the spirit of this world). Today, we see those lost continue to be lost and following thousands of church denominations and accepting another name of Messiah: Jesus, which is an invented Greek name, as described by our Messiah at Yohanan/John 5:43. Joh 5:43 “I have come in My Father’s Name and you do not receive Me, if another comes in his own name, him you would receive. If we study the Greek word “anti”, we discover that it more frequently means “in place of” or “instead of” in the Messianic Scriptures than its other meaning of “against”. Is this then not what the Messiah prophesied about when He spoke of “another” one, in Yohanan 5:43? Further, is it not the same “another” one Sha’ul spoke about in Qorimtiyim Bet (2 Cor.) 11:4? Whoever or whatever the anti-Messiah are, they are all used by Satan(spirit of this world), for he is behind all. He even masquerades as a messenger of light! (Qorimtiyim Bet/2 Cor. 11:14). As you read the book of Hoshea, you will see that YHWH used the name Ephrayim as a synonym for the house of Yisra’el (Hoshea 5:3-13, 6:4-10, 7:1-8) many times. This usage established the tribe of Ephrayim as the predominant tribe in the house of Yisra’el. We will see the importance of this as we look at the loss of the birthright by Reuben, the firstborn of Ya’aqob. Because Reuben defiled his father's bed, his birthright was given to the sons of Yoseph (DIBRE haYAMIM Aleph/1st Chronicles 5:1-2). Although the birthright actually belonged to Yoseph (DIBRE haYAMIM Aleph/ 1st Chronicles 5:2), Ya'aqob adopted the two sons of Yoseph and made them equal heirs with Re'uben and Shi'on (Simeon), his first and second-born sons (Berishith/Gen. 48:5-6). That is why Sha’ul (the apostle Paul) referred to the adoption as belonging to the Yisra’elites (Romiyim/Rom. 9:4) and coming to the Yisra’elites (GalatiyimGalatians 4:5); including His predetermined plan to adopt the Yisra’elites back into the family (Eph’siyim/Ephesians 1:5). YHWH designated Ephrayim as His firstborn in the book of Yerme Yahu (Yerme Yahu/Jer. 31:9). Jer 31:9 “With weeping they shall come, and with their prayers I bring them. I shall make them walk by rivers of waters, in a straight way in which they do not stumble. For I shall be a Father to Yisra’ĕl, and Ephrayim – he is My first-born. At the time of the adoption of Ephrayim and Manasseh, Ya’aqob pronounced a blessing upon Manasseh and Ephrayim which was to come to pass in the latter days, our days now. He said the lads would multiply like fish in the sea (Berishith/Gen. 48:16). Remember the Messianic Seal? Everyone knows that fish lays eggs in the millions when they spawn. This signifies the growth of the descendants of Manasseh and Ephrayim. Ya’aqob also spoke a special blessing over Ephrayim, saying he would become greater than Manasseh and would become a multitude of nations (Berishith/Gen. 48:19). This phrase in Hebrew is "MELO HAGOYIM", meaning "the fullness of the gentiles." This is the reference Sha'ul (corrupted to be “Paul”) was speaking of when he said, “ that hardening in part has come over Yisra’ĕl, until the completeness of the gentiles has come in. And so all Yisra’ĕl shall be saved,” (Romiyim/Rom. 11:25-26)." Since YHWH planned from the beginning to reunite the house of Yisra’el and the house of Yahudah (Yesha Yahu/Isa. 11:11-13; Yehezqel/Ezekiel 37), we are told many times that He would bring the house of Yisra’el back from where He had scattered them and reunite them in the land. Isa 11:11 And it shall be in that day that יהוה sets His hand again a second time to recover the remnant of His people who are left, from Ashshur and from Mitsrayim, from Pathros and from Kush, from Ěylam and from Shinʽar, from Hamath and from the islands of the sea. Isa 11:12 And He shall raise a banner for the nations, and gather the outcasts of Yisra’ĕl, and assemble the dispersed of Yehudah from the four corners of the earth. Isa 11:13 And the envy of Ephrayim shall turn aside, and the adversaries of Yehudah be cut off. Ephrayim shall not envy Yehudah, and Yehudah not trouble Ephrayim. The Messiah said He was sent only to the "lost sheep of the house of Yisra’el" (Mattith Yahu/Matt.15:24). YahushuaMessiah sent out the twelve disciples, instructing them not to engage in the ways of the gentiles, and not to enter a city of the Shomeron (Samaritans), but to go to the "lost sheep of the house of Yisra’el" (Mattith Yahu/Matthew 10:5-6). When Sha’ul said, in as much as he was an apostle to the gentiles, he magnified his ministry (Romiyim/Rom. 11:11), he was talking about the large area he had been given to cover: He was sent to the "lost sheep of the house of Yisra’el," wherever YHWH had scattered them. Deliverance therefore came to all peoples in order to reach the "lost sheep of the house of Yisra’el" (Mattith Yahu/Matthew 15:24). There have been many misconceptions concerning the house of Yisra’el, and the house of Yahudah, the children, the gentiles (nations or non Yahudim) and the congregation (called out ones). These misconceptions have led to many false teachings, such as, the Christian church has replaced Yisra’el, or that the two houses are the Yahudim and the gentiles (non Yahudim), as well as the false teaching that YHWH has different rules for the different people. In reality we see the plan for reuniting the house of Yisra’el and the house of Yahudah in Yirmeyahu/Jer., when YHWH says the day will come when He will make a new covenant with the house of Yisra’el and the house of Yahudah (Yermayahu/Jer. 31:31-34). Jer 31:32 not like the covenant I made with their fathers in the day when I took them by the hand to bring them out of the land of Mitsrayim, My covenant which they broke, though I was a husband to them,” declares יהוה. Jer 31:33 “For this is the covenant I shall make with the house of Yisra’ĕl after those days, declares יהוה: I shall put My Torah in their inward parts, and write it on their hearts. And I shall be their Elohim, and they shall be My people. Anyone who joins with them will become part of the children of Yisra’el, just like the mixed multitude that came out of Mitsrayim (Egypt) with the descendants of Ya’aqob. We can see how this eliminates the concept of having different laws for gentiles and Yahudim. YHWH has one law for all; it is called the Torah (commonly known as Law written by Moses). This is stated in many places, but we will quote one from Wayyiqra/Lev. 24:22, "You shall have the same law for the stranger and one from your own country; for I am יהוה your Elohim (Mighty One)." We can now understand the parables spoken by Messiah in Luqas/Luke 15 concerning the lost sheep and the prodigal son (Luqas 15:11-32). Knowing who the two houses are shows us that the lost son is Yisra’el and the son who stayed home is Yahudah. In summary, YHWH developed people for Himself that He called chosen. They were chosen to receive instructions from YHWH: His Shabbath, His Appointment Times and their customs, which all teach the instructions for having life. This set of instructions is called the Torah, the first five books of Scripture, written by Mosheh (Moses). They were given all these things so that the rest of the world might see YHWH in them and join with them to partake of the adoption, the esteem, the covenants and the promises (Romiyim/Rom. 9:4-5), and that all might become members of the commonwealth of Yisra’el (Eph’siyim/Ephesians 2:11-13). Rom 9:5 whose are the fathers, and from whom is the Messiah according to the flesh, who is over all, Elohim-blessed forever. Amĕn. Eph 2:10 For we are His workmanship, created in Messiah יהושע unto good works, which Elohim prepared beforehand that we should walk in them. Eph 2:12 that at that time you were without Messiah, excluded from the citizenship of Yisra’ĕl and strangers from the covenants of promise, having no expectation and without Elohim in the world. Eph 2:13 But now in Messiah יהושע you who once were far off have been brought near by the blood of the Messiah. YHWH established the Two Houses of Yisra’el and He will reunite them. 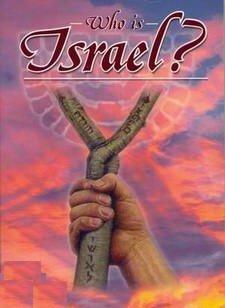 No nation, people or anything else will replace the chosen people of YHWH. The House of Yisra’el has been scattered for so long that they have lost their identity and do not know who they are, but YHWH is calling to the lost sheep of the house of Yisra’el through the people of Ephrayim. This is why you are reading this at this time because you are one of these lost sheep of the House of Yisra’el, who has been called to return home. The true Bride of YHWH is composed of those who keep the commandments of YHWH (First Yahuchanon/Yohanan/John 5:1-3) and have the testimony of Y’ShuaMessiah (Rev 12:17) and speak no falsehood (Hazon/Rev. 14:5. See also Tseph/Zeph. 3:9, 3:13; Hoshea 2:13-16) obeying the command at Shemoth/Exo. 23:13. The Two Houses of Yisra’el are Yisra’elites, who like Ruth, choose to say, "Your people shall be my people and your EL my EL" (Ruth 1:16-17). To conclude this article, I draw your attention to Yehezqel/Ezekiel chapter 37 where YHWH states that He will reunite the two houses of Yisra’ĕl and bring them into the promised land where they will guard His laws and do them forever in the His set-apart place. Eze 37:20 “And the sticks on which you write shall be in your hand before their eyes. Eze 37:21 “And speak to them, ‘Thus said the Master יהוה, “See, I am taking the children of Yisra’ĕl from among the gentiles, wherever they have gone, and shall gather them from all around, and I shall bring them into their land. Eze 37:22 “And I shall make them one nation in the land, on the mountains of Yisra’ĕl. And one sovereign shall be sovereign over them all, and let them no longer be two nations, and let them no longer be divided into two reigns. Eze 37:24 while Dawid My servant is sovereign over them. And they shall all have one shepherd and walk in My right-rulings and guard My laws, and shall do them. Eze 37:25 “And they shall dwell in the land that I have given to Yaʽaqob My servant, where your fathers dwelt. And they shall dwell in it, they and their children and their children’s children, forever, and My servant Dawid be their prince forever. Eze 37:26 “And I shall make a covenant of peace with them – an everlasting covenant it is with them. And I shall place them and increase them, and shall place My set-apart place in their midst, forever. Eze 37:27 “And My Dwelling Place shall be over them. And I shall be their Elohim, and they shall be My people. This gathering is starting to take place in our day. Barukh attah YHWH Eloheinu melehk ha-olam.